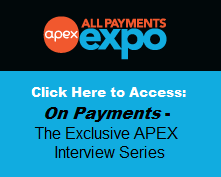 All Payments Expo Blog: King of the Payments Jungle? King of the Payments Jungle? If you’re taking charge of the payments jungle, we want to give you your rightful crown. Enter the 2014 Paybefore Awards Europe, recognising ferocious innovation and a mighty commitment to excellence in prepaid, mobile and emerging payments in Europe. In 2014, Paybefore Awards Europe will honour winners in 10 categories, which reflect the vibrant market for prepaid, mobile and emerging payments. The nominations submission deadline is Friday, 14 March 2014. Download the Nomination brochure today. Paybefore subscribers and members of UKGCVA, PIF, or IMA organisations receive a discount on the nomination submission fee. Because Paybefore Awards Europe (http://bit.ly/1byo4R6) involves rigorous analysis of nominations by an independent, experienced judging panel, the value of the awards is unparalleled. • Roaring rights. Recognition from colleagues, clients and prospects of winning in a rigorous and highly competitive juried competition. There’s no more impressive way to let the world know the value of what you do than by winning a Paybefore Award. • Brand building. All winners may publicise their awards in appropriate ways, such as issuing press releases, posting information on Websites and using the 2014 Paybefore Awards Europe badge for winners and Best in Category in advertising and other communications— extending your influence and building your brand. • Paybefore coverage. Coverage in Paybefore publications and Paybefore.com, reaching thousands of industry members worldwide. As a winner, your accomplishments will be highlighted in our extensive media coverage. The Paybefore Awards Europe presentation will take place during All Payments Expo Europe, being held 19-21 May 2014 at the Don Carlos Resort and Spa in Marbella, Spain. 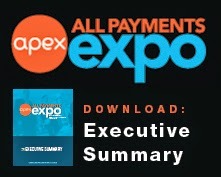 All Payments Expo Europe converges 500 executives from diverse industries to build the next generation of prepaid, retail payments, emerging technologies and alternative financial services. With a focus on innovation and interoperability, this is the most relevant gathering of Europe's payments stakeholders, including retailers, card networks, processors, issuers/acquirers, programme managers, financial institutions, payments start-ups, technology and investors. All Payments Expo Europe is co-located with Retail Payment Innovations, a one-day event, focusing on retail innovation and payment technology. This event dissects the future of shopping, omnichannel merchant perspectives, mobile payments and wallets, as well as e-commerce & m-commerce. Leading organizations will have the ability to showcase their game-changing technologies in mobile loyalty, M-POS, and mobile payments & wallets through interactive on-stage demonstrations. Register now to lock in the lowest rate.